Posted on March 23, 2009 in Front Page and News. 0 Comments Tags: Gmail, Google. 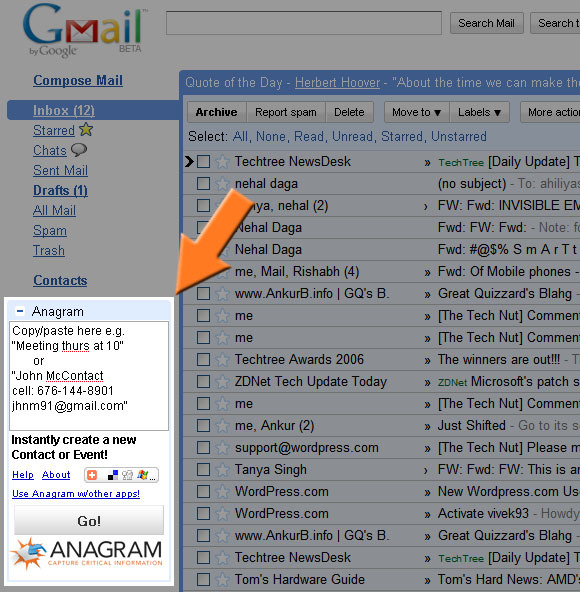 The Anagram iGoogle Gadget has been out for a while but recently we got word that you can install Google Gadgets into Gmail now. Very cool! Only trying it out with the Anagram Gadget did not produce good results… there is much less space available and everything gets cut off. So we’ve fixed the formatting and have the gadget working seamlessly with Gmail. 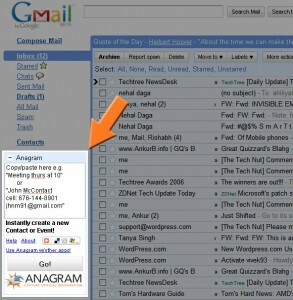 Now you can add contacts and appointments without switching to your iGoogle homepage.